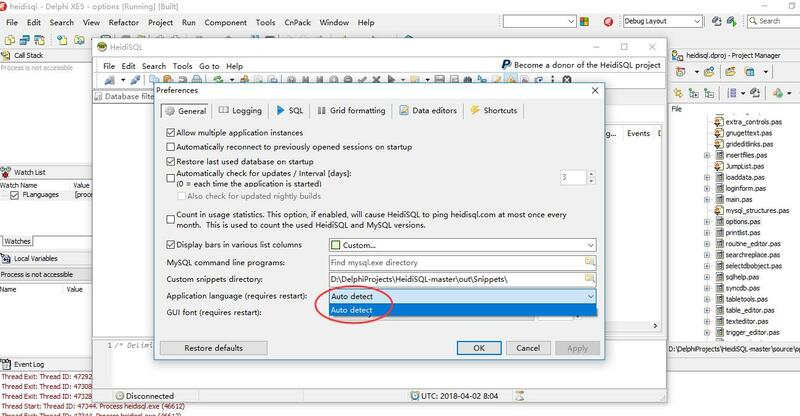 I use Delphi XE5 to build HeidiSQL with the source on the github , and find there is no choice for changing the application language in the preferences form(see the attachment), how to add orther language and make it works? Please never crosspost things in the tracker + here in the forum! turn the .po file into .mo file, and rename the .mo file "default.mo"
You can contact the experts who will make a high-quality design of the application and there will be no problems with it.